To make our compost Craig and I salvage food scrap, lawn clippings, coffee grounds and tea bags, and leaf rakings. 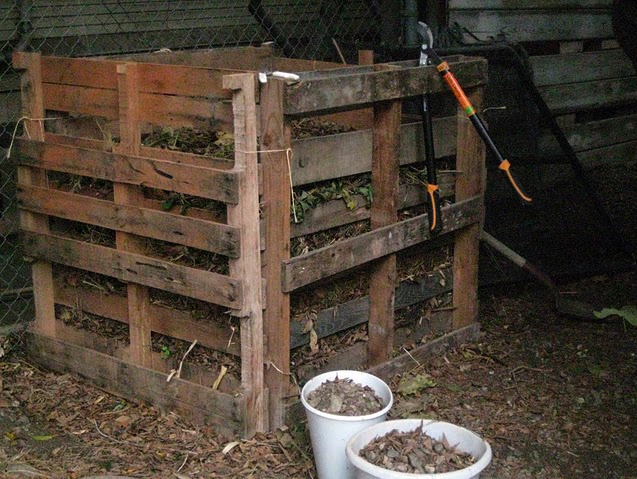 While you can buy compost bins for very cheap from the city of LA we assembled our compost out of pallets. I encourage all to bring a container to work and have your coworkers collect their lunch food scraps (staying clear of meat and greasy dishes). 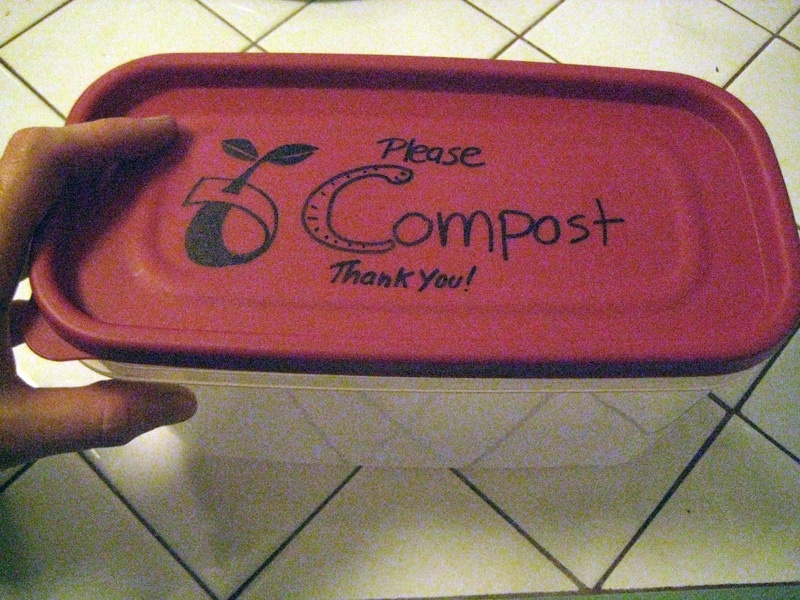 Watch the apple cores, banana peels, and left over salads scraps fill your precious compost! 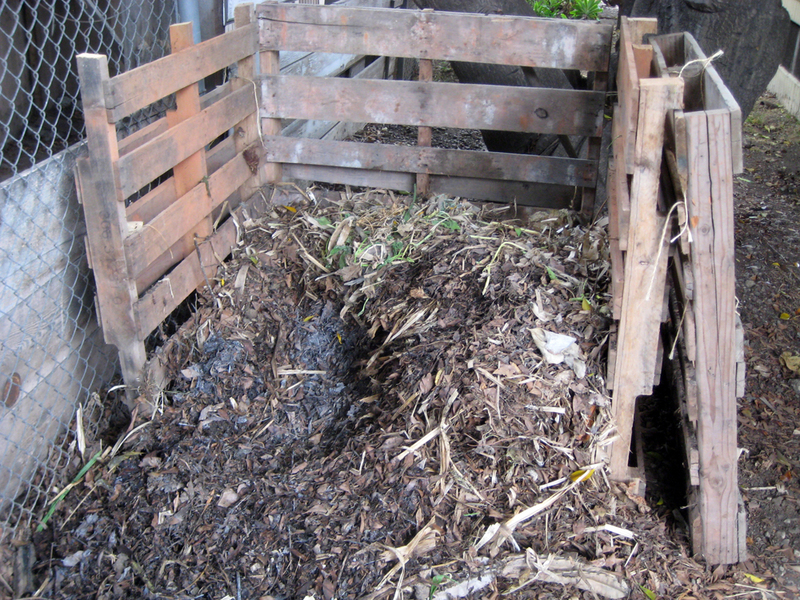 Keeping your compost moist like a rung out sponge really helps speed up the decomposing process. 3 months time difference between these pictures including lots of pick axing the compacted clay. “With this wonderful, moist weather – this is the perfect time to plant your seeds of carrots, beets, radishes, mustards, collards, parsley, onions, peas. Break up a garlic bulb and plant the individual garlic bulblets – you’ll get a crop next early summer. The moisture in the air and any rain in the ground will help germinate the seeds and avoid evaporation. But water the seedbed after you plant anyway. Remember not to walk on any cultivated ground, just on the paths, to avoid compacting your soil. 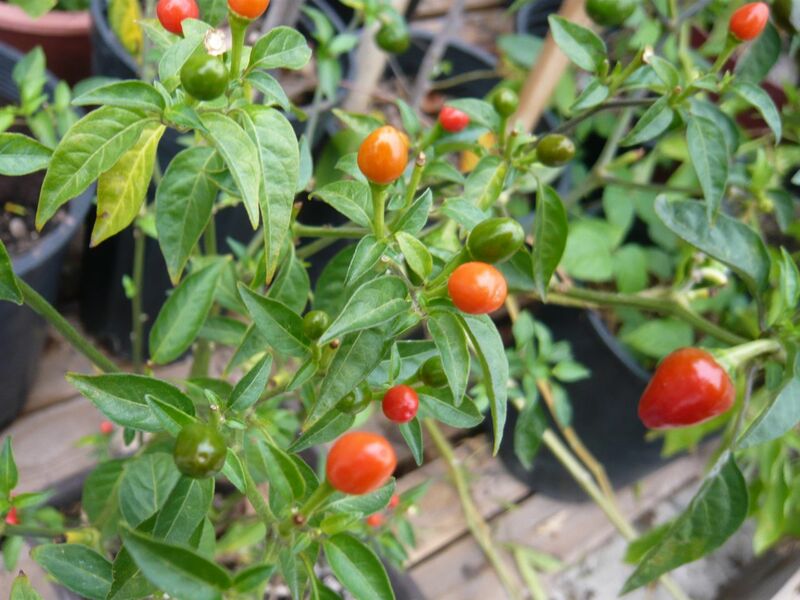 Keep your tomatoes and peppers going, by feeding them before the cold weather arrives. Trim off the dying brown leaves on the tomatoes. With our climate, they sometims continue well into December. Keep the tomatoes and peppers picked as they mature, to encourage the plant to keep producing. Same with basil and other herbs. As you see new growth from thyme, oregano, and marjoram, cut off the older stems, and dry them, saving the leaves for your future kitchen use. If some plants are insisting on going to seed, let them, let the seeds dry on the plant before you pick them. Cut them off and save before a big winter rain though (Nov or Dec). You can let one or two mature tomatoes stay on the vine and get really ripe so you can collect the seeds, same with peppers. Squash sometimes are not reliable in what they will produce – better to buy new seeds.